Welcome to my time line blog! Here, I will be posting my activities on the web, weather links to my blog posts (on all my blogs), any new websites that I build, or apps that I publish. You can follow it all from this one stop station, and you can of course, contact me. A completely new game. in each stage there are four words and four pictures. You need to guess which of the four pictures is described by the four words. You have three shots to find the right one. Sounds simple? Don't be so sure! Some puzzles will get on your nerves (or drive you nuts). It's an amazing game, you might even become addicted to it! See how good you are in solving our puzzles. This game is also fun to play with your family, and generally safe for kids. ويمكنكم ايضا تفقد الروابط الموجودة في اللعبة ، لالعاب و برامج اخرى من انتاجنا و من انتاج الآخرين. حيث يتم تحديث هذه الروابط ببرامج و العاب جديدة حال صدورها وهي مجانية في معظمها. The Arabic Version of the Shell Game. This game is perfectly safe for children, it even helps them develop a better concentration and some mind skills. It is also entertaining for adults. The whole Family can enjoy it! A simple, free, yet valuable application. It contains a collection of pictures with beautiful words in them (such as Quotes, Motivational and inspirational words). It also contains some funny pictures with words. All from "Pics With Words" blog which is specialised in such pictures. (this is the blog: http://WordAPic.BlogSpot.com/ ). Navigate through the pictures, and enjoy their content. A picture is worth a 1000 words, yet with words in it, it's worth a lot more! In the first version we collected pictures from the first 100 posts. In the next version we will add pictures from the next 100 and so on (you will get the updates for free of course). Keep Checking the "More Goodies" and "Daily Free Game " buttons, for an update of new apps and games that you might find interesting. A Game that will surely get you addicted to it! Do you have the nerve to be calm, and act fast at the same time? Bombs Juggle is about juggling a chosen number of bombs, and not dropping any of them for as long as you can. Tap on bombs to juggle them and impulse them away from the floor, your target is to maintain them in the air for as long as you can! There is no pause button (naturally, how can you pause a bomb in the air while juggling it, except in Cartoons!). So give your mind a test, see how fast can you react, how focus can you remain, and how sharp your mind is! And while you're doing that, release some stress! Bombs Juggle is also perfect for time killing. 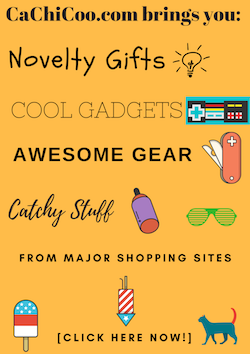 Novelty Gift Ideas and More! My Dogs Pack is live! My Cats Pack is live! My Pets collection is live!